I re-purpose home decor items that would normally end up tossed in the land fill. Everything that I do is hand painted. 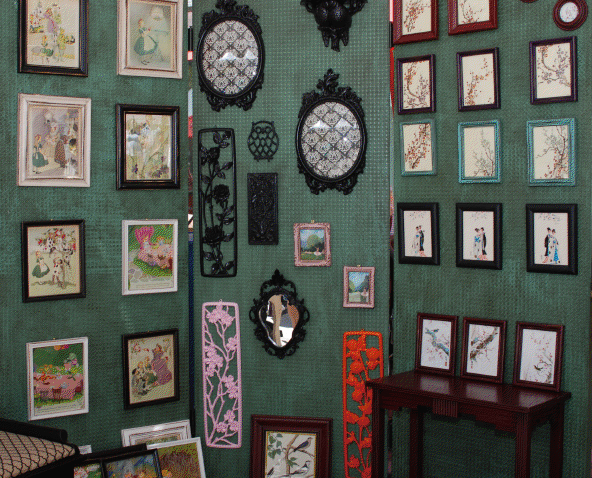 I fill the picture frames that I give a new life to with vintage lithographs and images from vintage children's books. I am a one women home decor rescue mission. I take pride in what I do because I am doing my part in being environmentally conscious. I am professionally trained in color selection which helps me create pieces that will fit into a variety of home decor styles.